Experience another moment of sheer and sweet indulgence J.CO Cravin’ at Seven Promo. Raise your sweet addiction to a whole new level as our well-loved premium lifestyle doughnut brand is celebrating its 7th Year Anniversary in the Philippines. Founded in Indonesia, J.CO Donuts & Coffee is set to delight our sweet tooth on March 14 and 15, 2019. 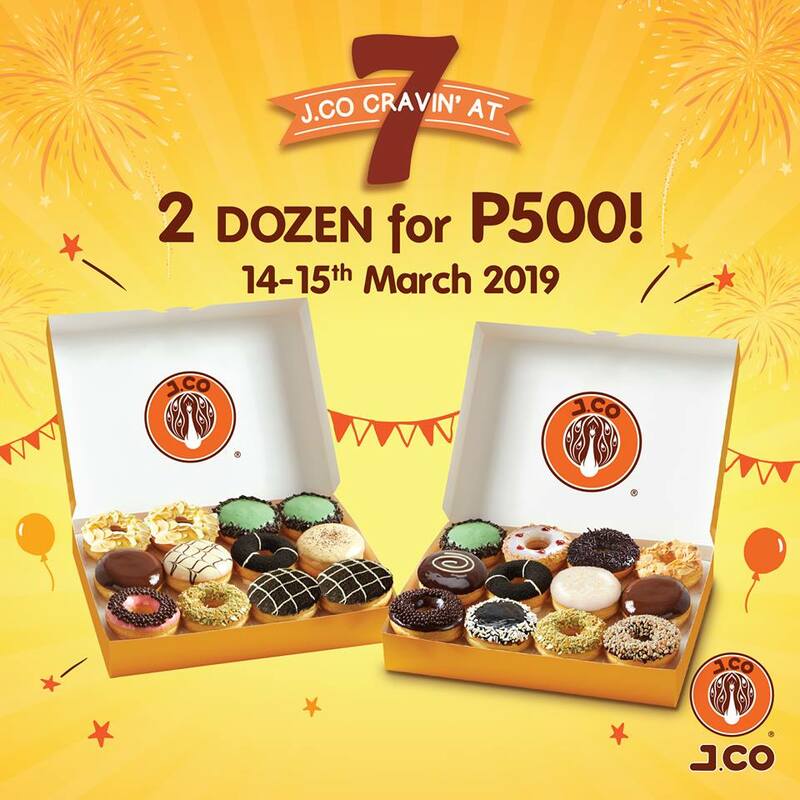 Enticing, fresh, mouth-watering and tasty, the J.CO Cravin’ at Seven Promo is guaranteed to tickle your taste buds with two (2) dozes of J.CO donuts. Enjoy a box of pre-assorted dozen and a box of dozen donuts of YOUR choice- ALL for Php500 ONLY. The promo is valid for 2 days and it is available in ALL J.CO stores nationwide from 10:00 AM to 6:00 PM. This offer is not applicable in booths and kiosks. Note that each customer can only avail the promo once, with a maximum of two (2) dozens per transaction. NOTE: Splitting of the pre-assorted dozen box is not allowed. 2. This promo is valid for dine-in and take-out transaction only. Any advanced orders, bulk orders and online delivery orders on the day of the promo will not be allowed. 3. 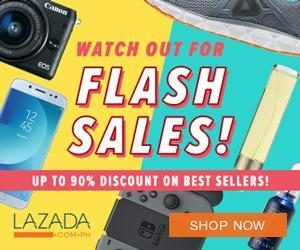 The promo cannot be exchanged for other items or discounts and cannot be used in conjunction with other promos. 4. In the purchase of goods and services which are on promotional discount, the senior citizen can avail of the promotional discount or the discount provided under the Expanded Senior Citizens Act of 2010, whichever is higher. 'j co events in 2019' - 'j co march 14 2019' -Enjoy!